The good news is that real estate is easy to buy here in Belize. It is our goal to make your decision making process easier. Like many expat havens, prime land in Belize is becoming more costly. 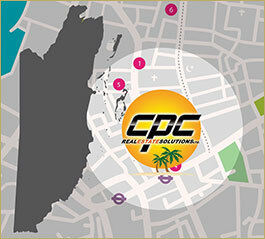 There are many new developments that have land available at very reasonable prices. Much of your decision making will involve what you are looking for in terms of lot size, proximity to neighboring homes, sea views, type of community you prefer to live in, budget, and what you must anticipate in terms of expenses. In the end, it boils down to want you can afford, and what you are willing to spend. In recent years building a home in Belize has become more regulated. With the advent of the Central Building Authority (CBA) the costs of building have begun to reflect the need to have architects and engineers involved in the building process. There are also the costs associated with governmental inspections. Selecting a builder is a critical factor in building. We suggest that this process is something you should not take lightly, or to make this decision totally based on price. Get references, ask for names of people the builder has built for, and talk to the homeowners who they've built for. Don't rush the process. We can give you names of builders who've recently built in the area, but this is a process where you'll need to do your own due diligence. Discuss costs specifically. While it is common for people to get hung up on "cost per square foot", understand what is, and what is not, included by each builder in the cost calculation can vary quite widely. Don't get surprised. You should expect a builder to give you budgets for tile, fixtures, etc. If you choose a more expensive option, you pay the difference. Contractors will generally quote initial building costs in "builder grade" materials. Selecting a more expensive terrazzo tile, high end faucets, etc. aren't generally going to be included. The more specific you can be up front, the less surprised or upset you'll be. Make sure you are comparing apples to apples. When you do plans for a home, be practical and think through everything. Where electrical outlets and switches will be, where the internet will go, television cables, etc. As most homes here are concrete construction, "aftermarket" fixes when someone didn't think through the electrical or plumbing plan are expensive, ugly, or in some cases, both. When you are coming from a world where drywall and wood subflooring is the norm, it generally isn't a big deal to re-pull an electrical line. In concrete, not so much. Many of us feel that this is definitely going to be our “forever” home. Experience says that even if you have been most diligent in all aspects, once you move into your home, within 6 months, you will wish you had done something differently. Expect it. But again, work through your plan diligently, to avoid changes and regrets afterwards as much as possible. The delivery time for an average 1400sq. ft. home will be somewhere between 9 and 12 months. Rainy season may see that extended somewhat. One thing that cannot be over emphasized is the benefit of our prevailing trade winds. It is MOST necessary when considering a build contract that you situate your home with the best advantage to provide year round cooling. High ceilings and passive cooling devices are very important during the summer heat. Most who build here do have split system AC units installed (at least in the bedroom areas). There is “city” water available within most towns, however nearly everyone uses bottled or purified water for cooking and drinking. In the outlying areas cisterns are the norm. Collecting rainwater for use in homes is fairly normal in areas like Consejo. It needs to be considered what your requirements will be when determining the size of your cistern and the number of collection points that will feed it. 12,000 gallons of rain water collection, given the average monthly rainfall in Corozal, is generally regarded as adequate for in home use. However, extreme drought conditions may require conservation measures, even with ample collection capacity. There are other alternatives. Deep wells offer a good backup supply, and make watering plants and yards an easy chore. There are any number of benefits to purchasing an existing property. Perhaps someone has already built your dream home for you, one that with very small changes might be perfect for you. Many properties have been built to American/Canadian standard and are often fully or partially furnished. In addition, the appliances, draperies, household goods such as dishes, pots, pans and cutlery, televisions, electronics (such as computers) are often all included. Most existing homes are also built on some of the really nice lots that are just not available any longer. Most current owners know the value of situating their homes to take best advantage of the breezes and many have lovely verandas or screened porches. Approximately 1-2% of purchase price for closing & legal fees. On simple, straight forward transactions between two parties where there is no financing, or other legal considerations, and if you are willing to forgo a lawyer and use a land agent, this can be reduced to about .5% or $500 USD minimum fee. You'll still get a title search, legally binding contract, and the usual protections like taxes being current, right to an inspection, etc., and all documents completed before transferring funds.